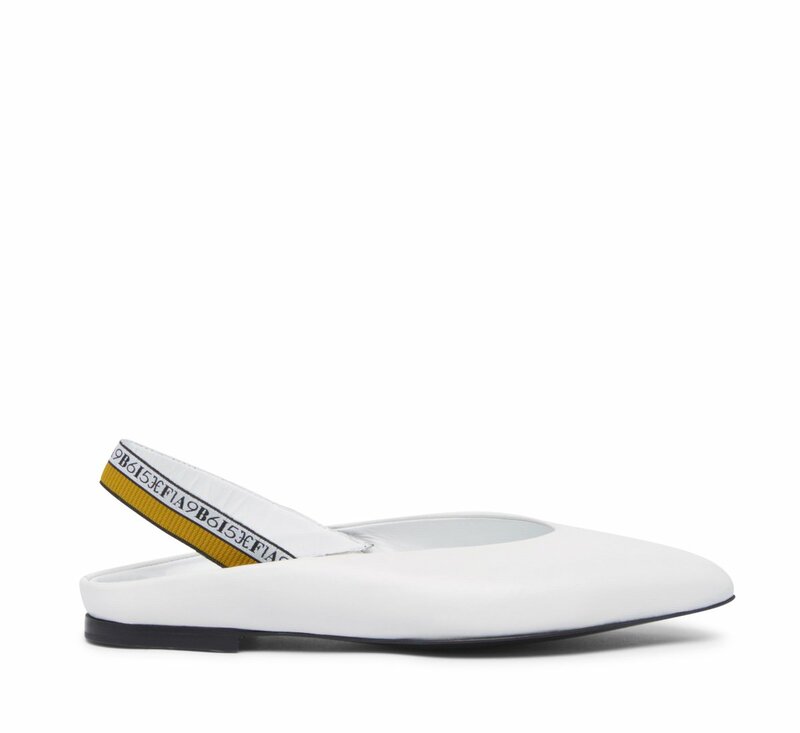 Flat pointed slingbacks, in white nappa leather with logoed and elastic side fabric band. To wear from day to night. 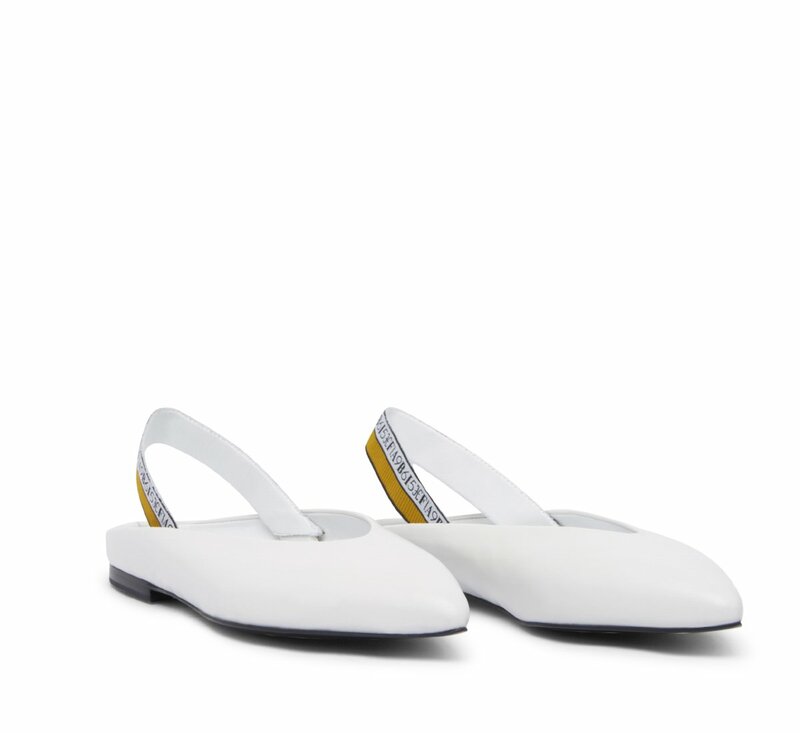 The bag construction gives the shoe lightness, flexibility and comfort. Leather sole with small rubber insert.